Let's face it, we all lead busy lives. Sometimes being "too busy" can be an excuse for many things like not fitting in exercise or making it a point to eat healthier meals. In an age where there tends to be a glorification of busy - you know, almost bragging about how busy someone is - I think we are overlooking the bigger issues of being "too busy" especially when it comes to our health and well-being. I think that there is often a misconception that when someone is getting in daily workouts, that they must somehow have extra time. My answer to that is that no one just has the time, they make the time. Somehow, some way, they figure out a way. And sometimes that means being creative. Even when we have a jam packed day, there are ways in which we can still add in extra movement throughout day. You might not have time to do a 30-minute workout, but you probably have 5 and 10 minutes of time here and there. And that time, those little bits of movement, they add up. There's no rule that a workout has to be a certain duration to be effective. Grand things are built on the littlest of things. You can't have a home without nails, boards, wiring. You can't have a garden without starting with seeds and soil. So health and fitness are the same way. They start with the little things that can add up over time. 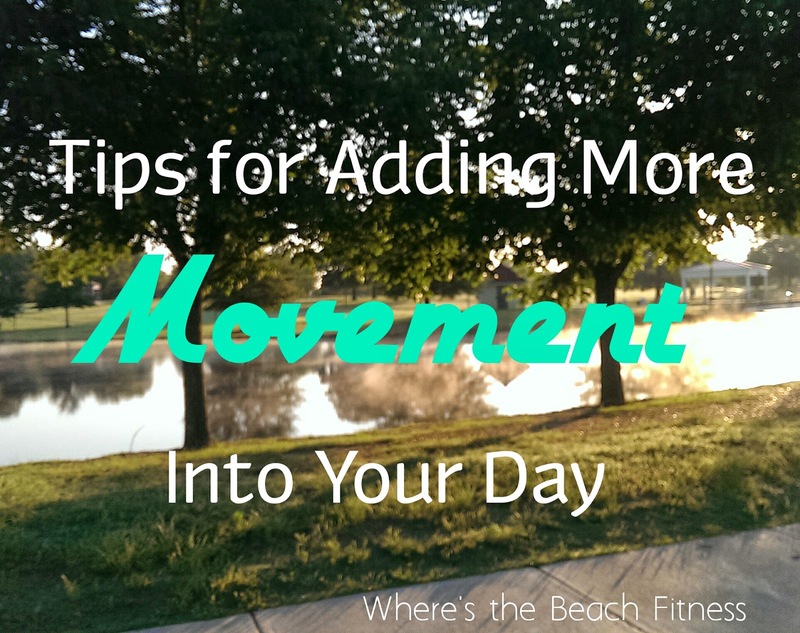 How do you manage to add in extra movement during your day? I'm already nervous about moving into a new position at work where I will likely be moving around less; thanks for these ideas to keep it moving! Great post!